What is the Rescue Resource Web Ring? If you are not a rescue group or organization but would still like to be a part of helping to educate the public of the large number of dogs needing a home and show where animals that come from pet stores, and PuppyMills usually end up, you are welcome to save the support graphic at the bottom of this page and link to this site to show your support. 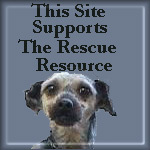 To join the Rescue Resource Web Ring, you MUST have a rescue related site that is responsible for the rescue of or the placement of rescued dogs. You MUST have the HTML ring code on your page before you will be inserted into the ring. You have 14 days to add the HTML fragment code correctly to your site or you will be deleted automatically from the Queue. Place HTML ring code on the page you register or on a page that is linked to from the page you registered. It must be easy to find, I do not have a lot of time to search for it. If you remove the code from your site, your site will be removed from the ring. DO NOT apply if your site is not built. Your listing will be removed, if this is the case, regardless of the site or site's owner. Please UNDERSTAND that all sites are reviewed before they are added to the Ring. If your site is in violation of, or does not meet the requirements of any of the above rules, your site will not be added to the Ring. Webrings and Yahoo have now merged so to join any ring you must go to yahoo and get your own ID and password. Go to this page to join Rescue Resource and if you are already a yahoo member you can use your current ID and password to join. If you are not it will ask you to sign up for one during the process. Get the HTML ring code from you Yahoo Webring.... my rings. when you join and are approved. 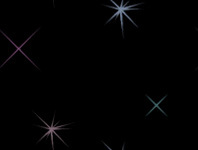 the ring code from this page as it will not work on your site.